Because no two shoppers are exactly alike, it’s difficult to say whether it’s best to buy or lease a new car. The biggest challenge is that there are pros and cons to both options. You could choose one of the other and be fine in either situation. Still, you want to make the best decision possible. 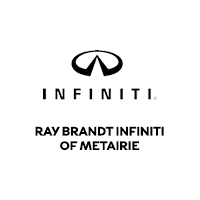 So, the next time you wonder, “When should I choose an INFINITI lease near me in Metairie, LA, and when should I buy?” consider what customers typically do in both scenarios. If you are in a position to get into a lease in Metairie, LA, you’ll find benefits that a loan can’t match. For example, you’ll have lower payments with a lease than with a loan. Also, leases eliminate the need to pay for repairs or to worry about selling when you’re ready to move on to something different. So, if you have a high credit score, you should seriously think of applying for a lease and taking advantage of the rewards. Do you plan on using your new vehicle sparingly? Do you have short daily commutes? If you know you’ll keep the mileage down, it’s a good idea to say, “I want to look for an INFINITI lease near me.” When you lease, the dealer will cap your annual mileage (usually to around 10,000 miles). But, if you drive a lot, you won’t be an excellent candidate to lease. Lease terms are relatively short (three years), which, for some people, isn’t much time with a car. If you love your car and what it can do for you and your family, you might want to finance it, so you can keep it for as long as it meets your needs in Metairie, LA. If you love to tinker with cars, buying is a better option than saying, “I want to shop for an INFINITI lease near me.” If you have a loan, you can add features to your vehicle and change it in any way you see fit. This isn’t possible if you lease. Should you say, “I want to look for an INFINITI lease near me,” or should you buy instead? It’s not an easy question for any Metairie, LA, shopper. However, if you consider these factors, you can make the right choice. Then, head to Ray Brandt INFINITI and talk to the team about what you’re looking for.